It is so easy to proclaim a praise unto God when things are going our way. The question is can you or will you praise Him in the midst of your distress. Habakkuk did! Even while questioning God as to the state of Israel, acknowledging the distress of His people, he still acknowledged that salvation is through God. Despite what we are going through, we still owe God praise for His omnipotence; knowing that He is able to do all things. God has an all seeing eye, He knows the situation that you are in. When you recognize that God is in control of everything, you can appreciate that whatever your situation is, He either allowed it or willed it. So give him a ‘yet’ praise even while you are going through your situation. God came from Teman, and the Holy One from mount Paran. Selah. His glory covered the heavens, and the earth was full of his praise. And his brightness was as the light; he had horns coming out of his hand: and there was the hiding of his power. Before him went the pestilence, and burning coals went forth at his feet. He stood , and measured the earth: he beheld , and drove asunder the nations; and the everlasting mountains were scattered , the perpetual hills did bow: his ways are everlasting. I saw the tents of Cushan in affliction: and the curtains of the land of Midian did tremble . Was the LORD displeased against the rivers? Was thine anger against the rivers? Was thy wrath against the sea, that thou didst ride upon thine horses and thy chariots of salvation? Thy bow was made quite naked , according to the oaths of the tribes, even thy word. Selah. Thou didst cleave the earth with rivers. The mountains saw thee, and they trembled: the overflowing of the water passed by: the deep uttered his voice, and lifted up his hands on high. The sun and moon stood still in their habitation: at the light of thine arrows they went, and at the shining of thy glittering spear. Thou didst march through the land in indignation, thou didst thresh the heathen in anger. 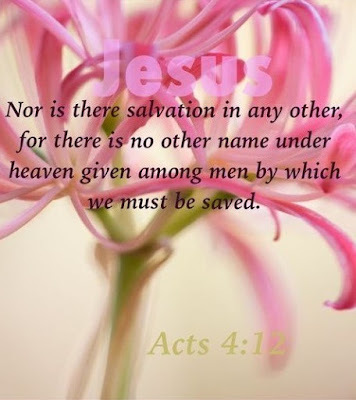 Thou went forth for the salvation of thy people, even for salvation with thine anointed; thou wounded the head out of the house of the wicked, by discovering the foundation unto the neck. Selah. Thou didst strike through with his staves the head of his villages: they came out as a whirlwind to scatter me: their rejoicing was as to devour the poor secretly. Thou didst walk through the sea with thine horses, through the heap of great waters. Earth has no situation that you can go through that God cannot fix. All you have to do is call on Him. He is a burden bearer and He will carry you through it or fix it for you. It takes faith to know that God is able and that is why we can praise Him in the very midst of our adversity. In our Christian journey, we should already know that we are going to suffer. But there is a reward at the end of it. The apostle Peter tells us to arm ourselves for suffering even as Jesus suffered. We cannot become downcast and discouraged when we suffer; particularly for His namesake. Even if our troubles seems to have no spiritual connection, we still look to God knowing that no matter what our circumstance; God is with us. We should never back away from our commitment to God because of our circumstances. There should always be a praise in our hearts and on our lips for God's goodness, His mercy and His grace toward us. Considering that our life could have gone in a totally different direction; on our way to a devil's hell. We could have been on the 'left' path instead of the right path. 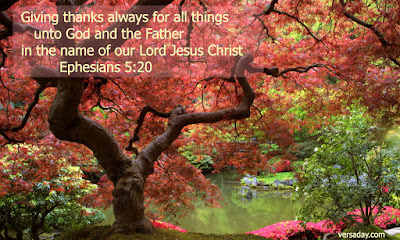 BUT, thanks be to God . . .